A couple of months ago my husband and I were startled from a bird flying from our patio ceiling fan after we had turned on the light the fans came on and scared the birds. We turned the fans off, but noticed that there were two broken eggs on the ground which made us very sad. 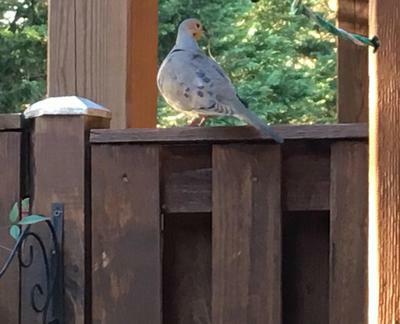 We noticed that they were a pair of doves, they continued to nest on our fan and at first flew away every time we would open the door to our patio. Eventually they would just stay in the nest and watch us. We watched as they took turns sitting on the nest. But one day we found a dead dove in the yard and did not see the changing of the guard as before, we feared it was one of them. We were sad thinking that the chick would never hatch without them taking turn sitting on the egg. To our amazement a week later a very large baby dove emerged and a few days later he had flown to the ground and was sitting by our back door. He didn't even fly away from us. Two more babies have hatched since that time and have flown the nest. Momma bird is sitting on yet another brood. She never flinches now as we come and go on the patio even when my noisy two year old grandson plays out there. He takes great delight when he sees her sitting up on the fan and exclaims "Biddie!" What a treat to experience seeing so many baby birds born so up close and personal. She is sitting on two right now and we can see their little tails sticking out from underneath momma. We are wondering how many broods they are going to have and if they will return next season. It is a comforting peaceful sound to sit out on the patio and here the cooing. It has been a joy to share our home with these beautiful creatures. Robins built a nest in my hanging plant on my back porch. It is right in front of my door and I worry every time we go out because the bird flies away. I am nervous about this wondering will this hurt the temperature they are trying to keep for the eggs to live and hatch. Does anyone know if this will effect the babies. I am so excited to hear the babies. I love my yard as much as the birds do. 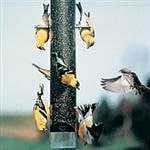 I have tried my best to make it a haven for them, Nothing in the morning is sweeter than to hear them chirping and waking me up. I have always considered them God's angels on earth. Safe behind the American Eagle! 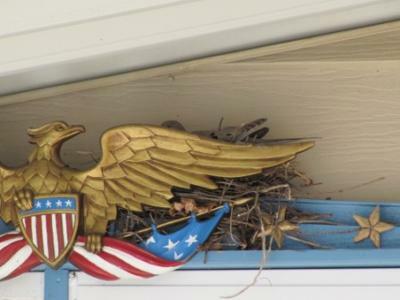 It's approaching 2 weeks since Doves began nesting behind the eagle plaque over my front door here in Sacramento! How exciting! I have enjoyed seeing and hearing many Doves in my neighborhood but this is the first time I have had any nest in my yard or near my home. The two doves have left quite a litter of discarded twigs and leaves at the threshold of my home and I have resorted to using my side entrance for entering and leaving my home. Likewise, a sign I made alerts visitors and deliveries to my side door as to not startle the new family. What I enjoy most about all this is that these Doves chose to make their nest behind the brass American Eagle plaque I placed over my front door a couple of years ago. It seems as if the mighty eagle is giving the nest it's protection behind it's outstretched wings! I used a Canon SX200 IS with telephoto lense from approx 15 feet away. Lighting wasn't exactly the greatest since the porch over the entrance casts quite a bit of shadow...but all in all the image wasn't half bad. I haven't exactly seen a "shift change" take place but I did watch while the two parents were apparently taking great interest in what was going on inside the nest yesterday. 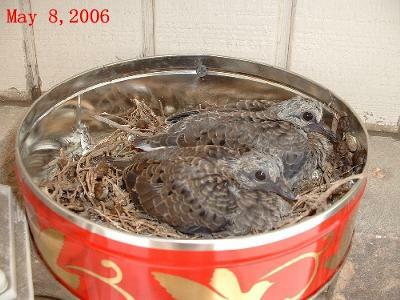 About 7 years ago, there were two doves trying to make a nest on in my back yard close by the porch light, but the nest and eggs were blown down by the wind. I decide to help them with a Christmas cookie can. First I put some of their nesting material inside the pan and secured it with a screw. Since then, they been coming back every year. And I replace with a clean can every winter for them. This year they come back earlier (February), and so far have nested and laid eggs five times this year. Does anyone think it is because of the weather changes we've had this year? Great story goes on. 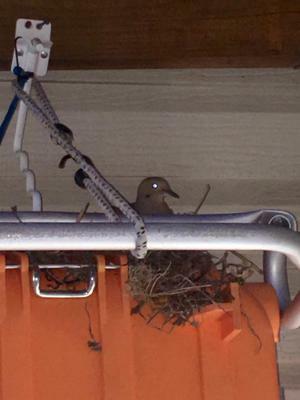 A couple of months ago my roommate told me of a dove nesting in our patio where we have an outside TV mounted near the ceiling. I took a look when both parents were not there with a step latter. Sure enough I saw 2 eggs in the nest and being a student photographer took some good pictures. This began my search for knowledge on the subject of Nesting Doves. After a couple of weeks of constantly watching I noticed the baby check with it's father in the nest. From a distance with a 200mm lens I took a cute shot of the father & baby dove. A couple of days later, the father was walking back and forth on the cement cooing for the chick to leave the nest. I guess so that they could hatch the other egg. A day later I hear a crash on my screen door and the baby flew and was on the cement. I was so worried about it so I read how I could crush up some dove seeds, make mush with warm water and feed it to the baby with an eyedropper. After feeding I left it on its own and it just walked in the shade along the fence and with the father cooing I left the 2 alone. The next day it was so still in the corner and the father was no where in sight. 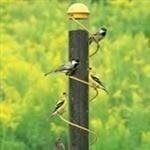 I then fed it the mush again and after feeding I took it back outside, saw the father sitting on a phone wire. I held the baby in my hands and gently tossed into the air and it took flight with the father flying next to it. I was so happy and thank God for a wonderful life. The parents did not come back until a week and a half later and after the mother came back to incubate the egg the very next day my roommate through the nest away with the egg in it. I was so upset and have not spoke to him on this subject since. After a few weeks go by I saw the father back on top of the TV. After it left, I left a little seed for it to return which it did. The father was cooing again and finally the female or a new female came back (this female is much smaller). The male flew back and forth to and from the back yard building a new nest. 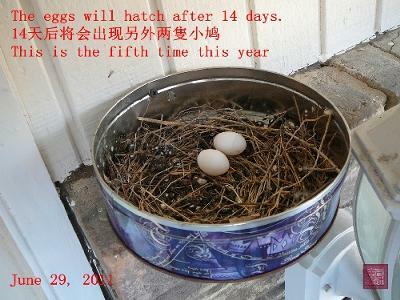 Now, after a week there is 1 egg in the nest and they are taking turns incubating it. This true goes lives on! 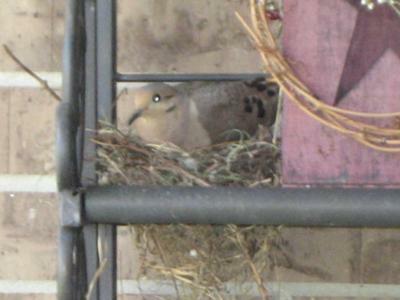 In the spring of 2009 our mourning doves again searched for a delightful and safe spot for their nest. Initially, they tried to build on top of a hurricane shutter over our kitchen window, but the shutter slopes down at about a 65 - 70 degree angle and was causing their haphazard method of throwing together a nest to be very unsuccessful. Interestingly, the year prior, however, a pair of doves were successful in building a nest in that same spot and had two babies. Maybe, just maybe, it is one of those fledglings who was now to trying to build a nest (or one of the original parents - sure wish they wore name tags). The hurricane shutter is under a patio roof so it is an ideal spot, protected from rain, but still getting the wind that Florida springs can bring. With the angle highly problematic, the doves finally gave up on that location. Shortly thereafter, I noticed the doves collecting nesting material and placing it on top of our wall A/C unit in our southern exposure Florida Room. This also is a fairly ideal location, because it has a protective overhang from the roof and gutters, but it still get the winds as they blow easterly or westerly. They attempted for nearly a week and a half and the materials were blowing away due to high winds the end of March. I doubted that they were ever going to be successful. 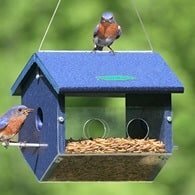 It was interesting to watch their dogged determination with our incredible birds-eye view (our sliders are on each side of the A/C unit but the doves cannot see us due to the privacy/reflective film on the sliders). Day after day, all the nesting materials were being blown away - poor little workers. I felt so badly for them. We had begun packing up to get ready for our return up north. 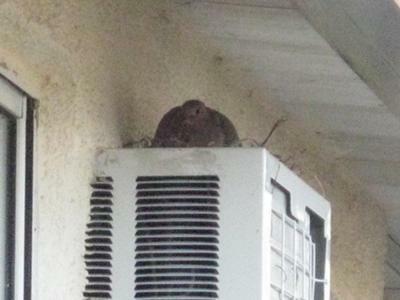 The day before leaving, I took a last walk around, checking to be certain every task outside was accomplished and taking the last photos of my aquatic birds in the lake out back, when, to my delight and utter surprise, I saw one of the sweet doves sitting on a fairly well formed nest on top of our A/C unit. She looked very pleased to have accomplished her task. I wished her well and hoped to see her and her family in the fall. I'm attaching a photo (or two - not sure how many I can provide)showing how most would not notice her up there. In the fall, we had more mourning doves than ever and felt for certain some of them were the same family. How delightful!! Just about a week ago I was surprised to find 2 Mourning Doves in a flurry of activity making a nest in a succulent/cactus (ouch),plant on my terrace. The nest would not be featured in the "Beautiful Nests and Gardens" magazine if there was one. The height of the plant and nest is flush with the window in my kitchen. I am literally inches away from the nesting bird. I am flattered the birds have trusted me to such an intimate extent. I have ceased putting out bird feed for the numerous Finches that frequent my seaside terrace as I do not want the Doves unduly disturbed. forward to the Big Event!!!! 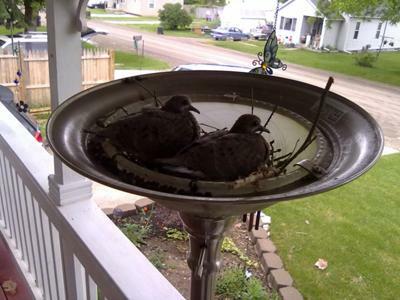 Doves Nesting In Torch Lamp. My daughter brought me a tall torch lamp that she had in her room that she states she did not want anymore. I told her to put it on the front porch and that I would put it in the goodwill box this week. A couple days later, early morning, my husband asked me to come out to the front porch. As I did he showed me a pair of doves perched in the lamp shade. I said they were probably trying to get warm because of the morning sun rises toward our front porch. I thought nothing of it of course. The next day I saw sticks coming out of the lamp shade. Within a week the lamp shade had sticks and grass in it. I may have thought that the doves were confused by the light bulb. That maybe they had mistaken it for an egg. I'm not sure, but to my surprise these doves stayed. We have 4 dogs, two boxers that are large, they did not bother the doves, however, they were always watching. For the next two weeks I watched as mom and dad took shifts with their nest. 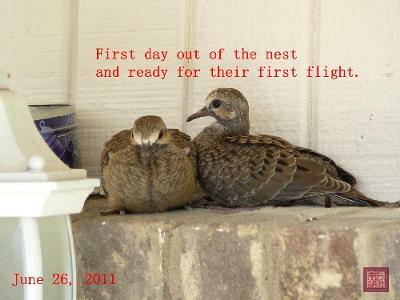 To my amazement one morning I saw two baby doves heads pop up. I was in shock. I never thought that being so close to our home and family with dogs, that they would have been comfortable enough to hatch two babies. Our front porch has always been a great place to watch the sun come up but now it has been even more enjoyable. I woke this morning to find the nest empty, I haven't seen mom, dad, or the babies. However short time they were here it was truly interesting. Our self-made archway in our back yard has a dense growth of chocolate plant(in spring) and trumpet vine(in summer). Last year a robin made its home on the top of the archway and raised 4 little ones. Whenever we would check on the nest Momma would fly away to a nearby tree and watch us and chirp until we disappeared. It was quite an experience to watch the babies grow up and leave the nest. Needless to say when we spotted a nest on top of the archway, once again, we assumed Momma robin was back. When you stand under the arbor/archway you can get a great view of the nest and its inhabitants. 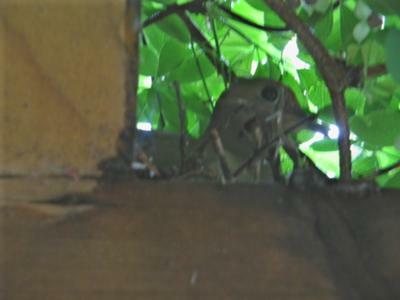 Recently, when we looked up at the nest from behind we saw a large tan and white tail poking out. It did not look like any robin's tail I had ever seen. Upon walking more forward to view the other side of the nest, we saw a beautiful tan bird's profile with one black eye looking right at us. We gazed at the unmoving bird trying to figure out what it was. 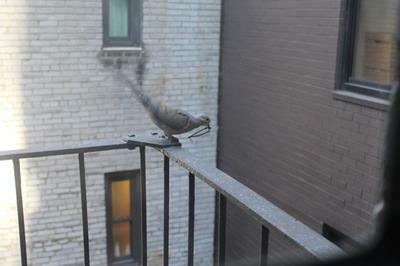 Then it hit us--- a mourning dove! 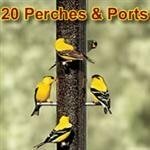 We have only seen a few in our area and never in our back yard before. This one(or two)found a home. Until I saw this website, I assumed the mother was the only one nesting, and never saw the father in any nearby trees. Now I know about the change of shifts. We check on the nest daily and are within two feet of Mom or Pop when we gaze up at them. 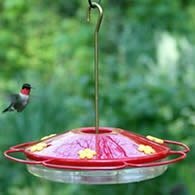 They never flinch or attempt to fly away. They almost seem tame. It's been almost two weeks and we are waiting to hear some baby peeps. It's always exciting to see new baby birds. 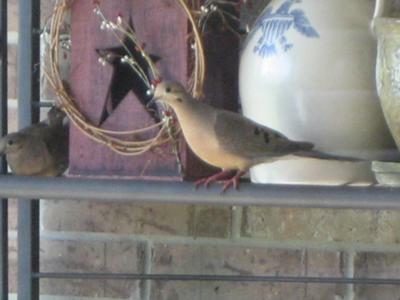 We have had robin, sparrows and monk parrots in our yard before but never mourning doves. Can't wait to see the hatchlings! 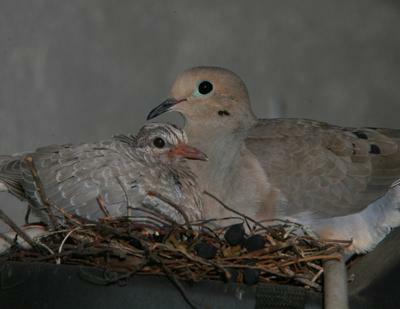 Where would a dove couple build a safe nest away from harm and prey? On a wicker chair out on an upstairs outdoor deck, of course. 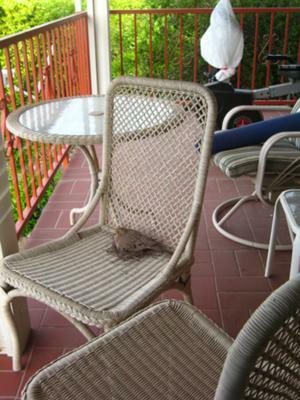 We were fascinated watching our dove couple pick out their spot and slowly build a precarious little nest by bring in twigs and pushing them around on the chair. Finally the nest was built, and two eggs were laid. We were able to see this couple and their actions very close up by watching them through the window, which is 3 feet from the chair. (They couldn't see us) We watched them make the "shift change" from male to female, and also watched one of the birds fly in and try to "patch up" the nest a bit after a windy day. This may be the same couple who built a nest in our fern plant last year, but since I took the plant down, they decided on the wicker chair. Now we will watch these birds up close through the window until the babies are grown and fly away. Much to my delight one beautiful sunny morning here in the Houston area I got quite a scare as I was watering my plants on the back patio. 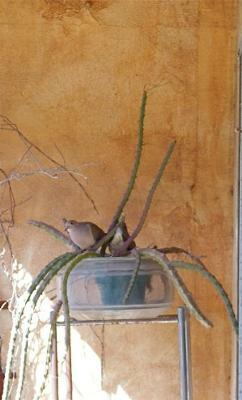 As I neared a potted palm (near the baker's rack) to quench it's thirst a bird flew off right in front of my head! It flew to the fence and perched there for a bit and I got a better look. Of course I had no idea what kind of a bird this was and by then 2 birds (I'm thinking mom and pop) flew back to the baker's rack on my back patio so I had time to grab the camera. 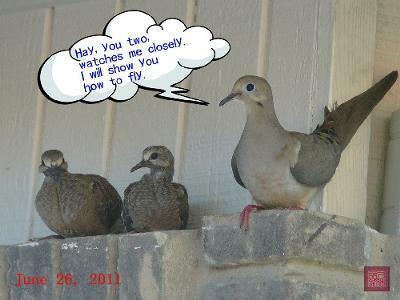 Once I had a couple photos I emailed them to a bird lover who told me they were doves. 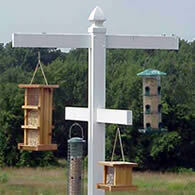 I quickly googled them and sure enough...found out they were Mourning Doves! Up until now I haven't been an avid bird watcher, as such...I take notice of birds and enjoy watching when the opportunity presents itself...but having these birds so close by is so sweet! The doves nested on my baker's rack tucked away all cozy in a corner of the shelf and then there were two little white eggs...that have now hatched. I didn't want to take a picture of the babies because I was scared that the flash would go off and I didn't want to blind them! 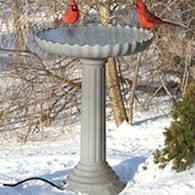 The birds seem to have grown accustomed to me as I continue to putter about the patio watering my plants. I am saddened today though because I had a chance to peek at the babies in the nest and one bird appears to have possibly died because it's much smaller than the other baby and I couldn't notice it breathing. The other baby looks very good. Mama (I believe) was perched on that back fence while I quickly stole that look at the babies. I'm not sure what will take place from here on. I just feel so bad for the doves that one of the babies might have died. 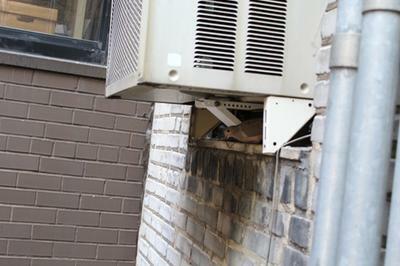 I have two wonderful little mourning doves making a nest under my AC window unit! I have been watching them for the past two days build the nest, and really love it. But, this leads me to a serious question that I hope someone could answer for me. They are building a nest under my AC unit, and summer will be here in a few weeks. I will be turning on the AC eventually. Do you think the noise will bother them? I am thinking it might and am wondering if I should break up the nest building now, before they lay their eggs. Which I really don't want to do because in NYC, we don't get much wildlife. Also, they wake up at 6 AM, and once the little babies arrive, will that drive me crazy? They are literally 3 feet way from my bed. I live in a studio, so there is no moving to another room for me unfortunately. Can an expert give me some advice please?! I would hate to break up the fun before it really gets started, but don't want to them lay eggs and then have a problem! Do you think they already laid the eggs? They wouldn't do that while building the nest would they? Turn on the AC while they are building to see if they react to it. And no they won't wake you up they are the most quiet birds there is. When the babis hatch they stay in the nest for about 2 weeks. 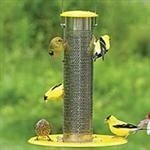 Then they will go on the ground for awhile before they take flight and leave. Parents are around while they are on the ground. 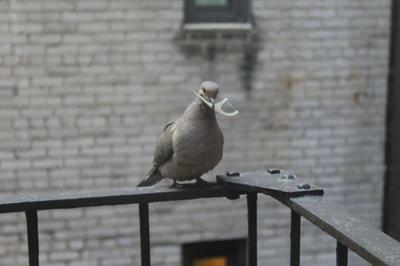 I've watched a few dove families raise their young in NYC in similar circumstances--one nest behind a flower pot on a fire escape and another under an AC. All did very well. Enjoy them! I'm sure you will. 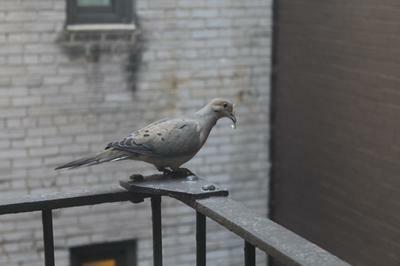 My Morning Dove is just out side my upstairs spare bed room window. She and he are nesting in my rain gutter. Thank goodness it is not over a down spout. My husband first spotted the nest and a bird while he was mowing the front lawn. I studied up on their habits on the internet. I love birds. 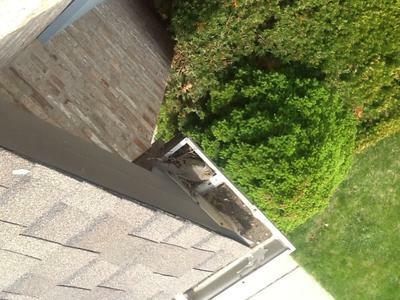 I'm so happy they chose my gutter. 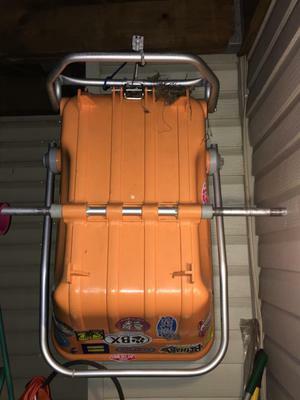 It is in a safe area of the roof. I can watch and wait and appreciate nature at its finest. I've take pictures....carefully. I speak softly to them. They seem calm. Look up toward my voice. I sure can't tell mom from dad. I know they share the nesting job. I'll take more pics as things develop. A mating pair of mourning doves built a nest on a branch of a tree about five feet above our car in the driveway. I am a homeschooling mom with two elementary school aged children, so our science lessons soon included learning about mourning doves. The children loved going to the Internet for more information which is how I discovered this page. We watched what we thought was the momma sitting on the nest, which now we learned was the poppa, every day. Being above our driveway, we parked our car right under the nest which did not ruffle poppa at all. My kids loved standing under the nest and talking calmly to the dove. A couple of weeks went by and my husband said that he saw that the babies had hatched. Even though we are in Southern California, we had a very chilly, windy spell. The doves were such good parents keeping those little ones warm. My husband went out to the mailbox and called me to come outside. 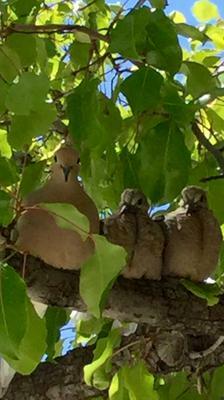 Momma dove had her two babies out of the nest and onto the branch right above us. I was able to snap the attached picture. The babies were so cute and so calm. They have now left the nest but still hang around our backyard for us to enjoy. These busy birds are at it again and the nest is now occupied once more. 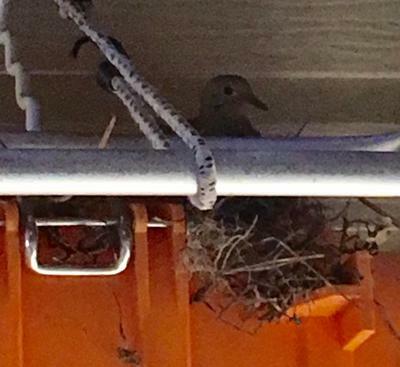 Can't wait for our second round of mourning dove babies!! Every spring in Northern Virginia we enjoy hearing the cooing of Mourning Doves claiming their territory and letting all know nesting time is coming. This year a lovely couple decided to make our home their home. It was unusually cold with high winds in the the past few weeks and of course rainy in the month of April and have to say as unusual as it may be they picked the perfect place to nest. Under the back corner nestled under our Townhouse deck, next to the walls of our house and on top of our Beach Buggy! During the winter months we hang out beach buggy nestled under that same spot to keep it stored and out of the snow. The good news is we will not need to use our buggy until June so I do not have to move the nest or the couple. After the babies hatch and leave, I will have to move them out - hopefully they can re-nest nearby. I will try to move the nest close by under the rafter of the deck - but not on the beach buggy. For days the 2 birds built the nest, then one bird, I though was the female nested down while what I thought was the male flew back and forth bring twigs to build. But it seemed after the nest was built, I only saw the female with the male never returning. 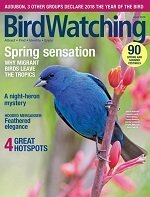 I was concerned about the mother nesting bird not eating - until I read your information about how they take turns. But why do they not both nest together? Looking forward to seeing the family - hope it all goes well.